Almost a year ago, 17-year old India Landry, a high school senior in the Cypress-Fairbanks school district near Houston, was expelled for refusing to stand during the pledge. The Texas Education Code says school districts must require a student to recite the pledge once a day. But that same law also allows a student to stand and opt out of reciting the pledge if they have written permission from a parent or guardian. Attorneys representing Landry argue the law, even with the opt-out option, violates a student’s constitutional rights. ​“They are saying I’m being coerced into standing which gives the appearance that I support all the things the flag stands for,” Treece said. Treece said Landry’s attorneys have a valid argument for how the law has the potential to violate any person’s constitutional rights. “State law does at least allow an opt-out for saying anything, but sometimes speech is conduct, expression is conduct, and that’s why I think the student has a valid argument. (She) may not prevail, but it’s a valid argument,” Treece said. Paxton, in a statement, said, “Requiring the pledge to be recited fosters respect for the flag." 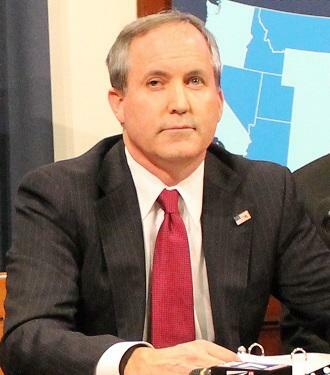 Texas Attorney General Ken Paxton has refused to defend the Texas Ethics Commission against a lawsuit, saying the agency itself violates the state’s constitution.